If you love your candles and really want to indulge in a luxurious treat this Christmas, whether for yourself or for a gift, look no further than NEOM Organics. 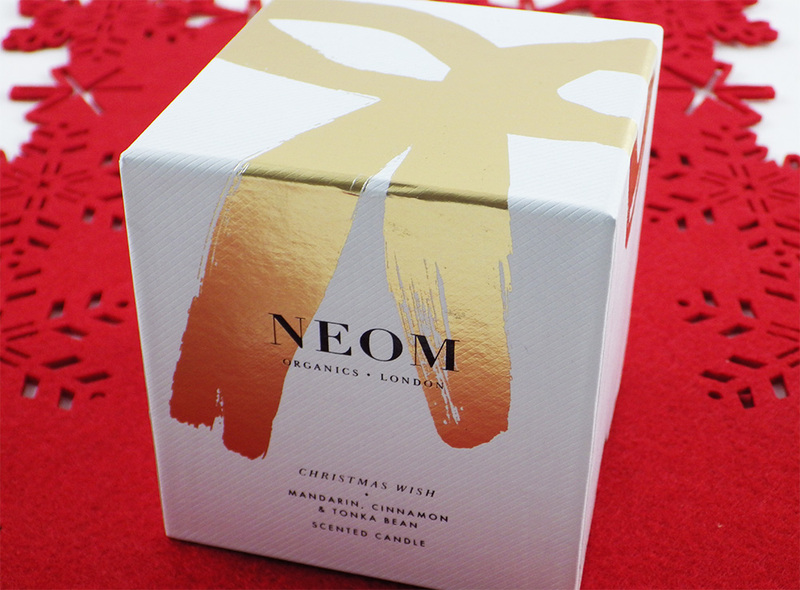 Their candles are easily the best I've tried, thanks to their powerful, long lasting scents with pure essential oils and their even and clean burning; NEOM only use pure vegetable wax in their candles and never use artificial fragrance. Plus they come beautifully packaged. The Christmas Wish Scented Candle comes in either a 420g jar with 3 wicks or a 185g jar with 1 wick. I've been using the latter, which has an estimated 35 hours burn time. The jar itself is made of thick glass with a beautiful gold design, which is very festive and gives it a luxurious feel. The scent is Mandarin, Cinnamon and Tonka Bean, which is designed to calm and relax the mind. 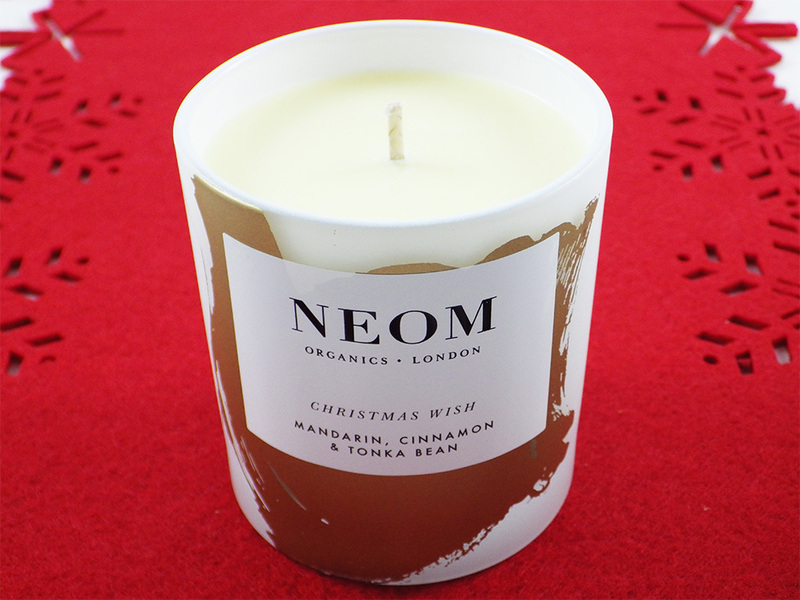 Cinnamon can be quite an overpowering scent, but with the mixture of the citrus Mandarin and creamy Tonka Bean, you have the perfect Christmas scent. It's very comforting, soothing and warming; you won't want to leave the house with this candle lit! After a few hours of burning, the gorgeous fragrance wafts up the stairs, meaning I can still smell it when I go to bed. For such an amazing candle comes a high price tag - the 1 wick jar is £32.00, but I think it is oh so worth it. Plus for every Christmas Wish Candle sold, NEOM will donate £1.00 to the Make-A-Wish Foundation, which grants wishes to children with life threatening conditions. 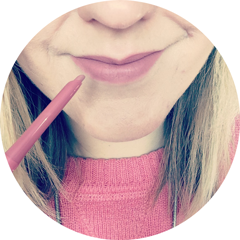 You can find out more on the NEOM website here. 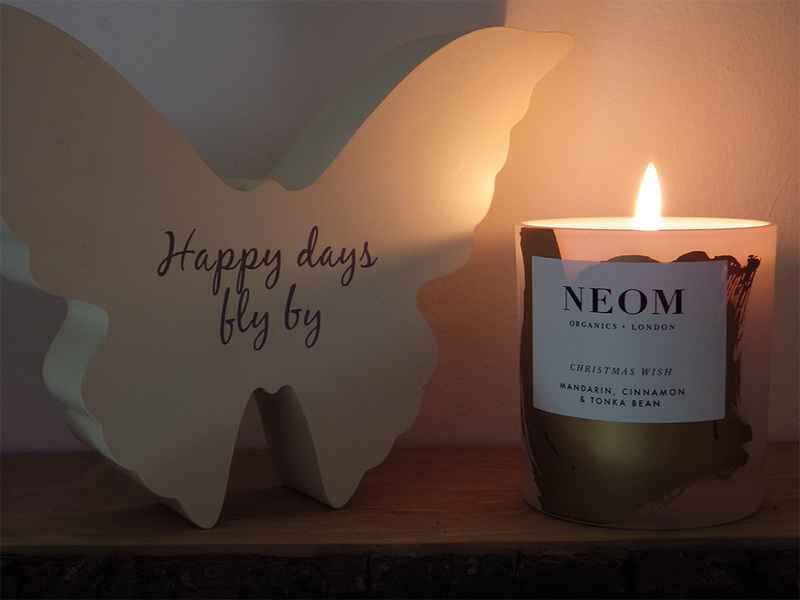 Have you tried any of NEOM Organics candle range? What's your favourite festive candle scent? This would make such a lovely gift, I bet it smells amazing!